Killeen Police Investigate a Murder on Phoenix Drive. On Saturday, June 9, 2018 at approximately 2:44 p.m. officers were dispatched to the 2800 block of Phoenix Drive after receiving a 911 call about a cardiac victim not breathing. Upon the officers’ arrival they located a non-responsive, 29 year old female suffering from multiple wounds. Justice of the Peace Claudia Brown pronounced the female deceased at 3:20 p.m. and ordered an autopsy to be performed at the Southwestern Institute of Forensic Sciences in Dallas. This case is currently under investigation and information will released when it becomes available. The name of the deceased is being withheld pending the notification of the next of kin. Detectives are asking anyone who has information about this Murder, to contact Crime Stoppers at 254-526-TIPS (8477) or go online at www.bellcountycrimestoppers.com. You can also download the P3Tips App for IOS or Android and give an anonymous tip. All information is confidential and anonymous and if your tip leads to the arrest of the person responsible, you could be eligible to receive a reward up to $1,000 in cash. Killeen Police Charge Second Person in Bus Driver’s Murder. Detectives with the Criminal Investigation Division and the Bell County District’s Attorney’s Office have been working together on this case and additional charges have been filed. On Wednesday, July 26, 2017, an indictment was obtained on 64 year-old Jo Ann Wilbert, charging her with Capital Murder for Remuneration and Solicitation for Capital Murder for her involvement in the Murder of Christine Dailey Watkins. Detectives had been working with Brevard County Sheriff’s Detectives, and traveled to Merritt Island, Florida. Both agencies took Wilbert into custody without incident and she is currently in the Brevard County Jail awaiting extradition. On October 1, 2015, the Bell County District Attorney’s Office issued a complaint charging 32 year- old Andrew Lenard Hardesty with Murder. Hardesty is currently in the Bell County Jail awaiting trial. On Monday, October 20, 2014, at approximately 5:30 a.m., Officers responded to the 1400 block of Pine Drive after receiving numerous calls about shots being fired in the area. Upon their arrival, they found a 64 year-old female in her driveway with a gunshot wound. Justice of the Peace Garland Potvin pronounced the victim, Christine Watkins, deceased at 6:05am. Killeen Police arrest Murder suspect in vacant apartment on Houston. Officers responded to the 800 block of Houston on Wednesday, April 22, 2015, at 10:47pm, after receiving information about a suspicious person who had been seen hanging around the area. The officers arrived and began checking the area; they located a black male inside a vacant apartment and detained him. The male was then identified as Rico Doyle, the suspect who was involved in the murders on Gilmer St.
Rico Doyle was then taken into custody at 11:03pm and charged with Murder and two counts of Aggravated Assault. He is currently in the Killeen City Jail. The Killeen Police Department would like to thank everyone who assisted us with information to further this investigation. Further charges are pending as detectives continue to investigate this case. Information will be released as it becomes available. Killeen Police are investigating an early morning shooting on Gilmer Street. 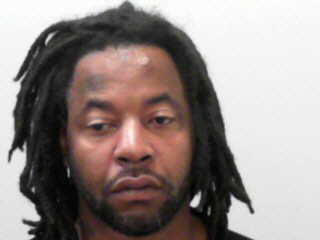 Officers responded to the 420 Gilmer Street at 3:22am, on Tuesday, April 21, 2015, after receiving numerous 911 calls of shots being fired. Upon the officers’ arrival they located several people with gunshot wounds; two females were pronounced deceased at the scene and the other three, two males and a female, were transported to Metroplex Hospital and Baylor Scott and White Hospital. The deceased female victims have been identified as 42 year old Kysha D. Edmond-Gray and 38 year old Deanna Louise Buster, both victims are Killeen residents. All other victims are in stable condition and their names will remain withheld until further notice. Killeen Police continue to search for Rico Doyle, who is wanted for Murder. Doyle is considered ARMED and DANGEROUS! Detectives are asking anyone who may have information about Rico Doyle’s whereabouts is asked to contact Crime Stoppers at 254-526-TIPS (8477) or go online anonymously at www.bellcountycrimestoppers.com or text BELLCO along with your tip anonymously to 274637. Text HELP to 274637 for help with the tip or text STOP to 274637 to stop the tip. All information is confidential and if your tip leads to the arrest of person responsible for this crime, you could be eligible to receive up to $1,000 in cash. Killeen Police investigate Sunday night shootings on Godman. Officers responded to a 911 call of a disturbance, on Sunday, February 22, 2015, at 10:26pm, in the 1700 block of Godman. As officers were responding to the call, they were told that a male was armed and shots had been fired. Upon the officers’ arrival they located several gunshot victims at 1706 Godman and were told the suspect had fled with his wife, back to his residence at 1710 Godman. Shortly thereafter shots were heard coming from inside that residence. The Tactical Response Unit was deployed to the scene and several attempts were made to speak with the male however they received no response. The TRU Officers made entry into the house at 12:26am and located the male and female deceased with gunshot wounds. The victims have been identified as 31 year old Lydia Farina, 40 year old Larry Guzman and 28 year old Dawn Giffa. The suspect has been identified as 30 year old Fort Hood soldier, Atase Giffa. The 41 year old female victim, who remains in critical condition at Scott & White Memorial Hospital, will not be identified at this time. Detectives with the Criminal Investigations Division are continuing to investigate this incident and information will be released as it becomes available. The preliminary investigation revealed that the 30 year old male suspect shot a 29 year old female; a 41 year old female and a 40 year old male at 1706 Godman. He then forced his 28 year old wife back to their residence at 1710 Godman. Justice of the Peace, Garland Potvin, pronounced the 40 year male deceased at 1:07am, the 29 year old female deceased at 1:11am, the 30 year old male suspect deceased at 1:19am and his 28 year old wife deceased at 1:21am, and ordered autopsies to be performed on all the victims at the Southwestern Institute of Forensic Sciences in Dallas. The 41 year old female victim was transported to the Baylor Scott and White Memorial Hospital in Temple in serious condition. The names of the victims have been withheld pending notification of their next of kin. This incident continues to be investigated and information will be released as it becomes available. 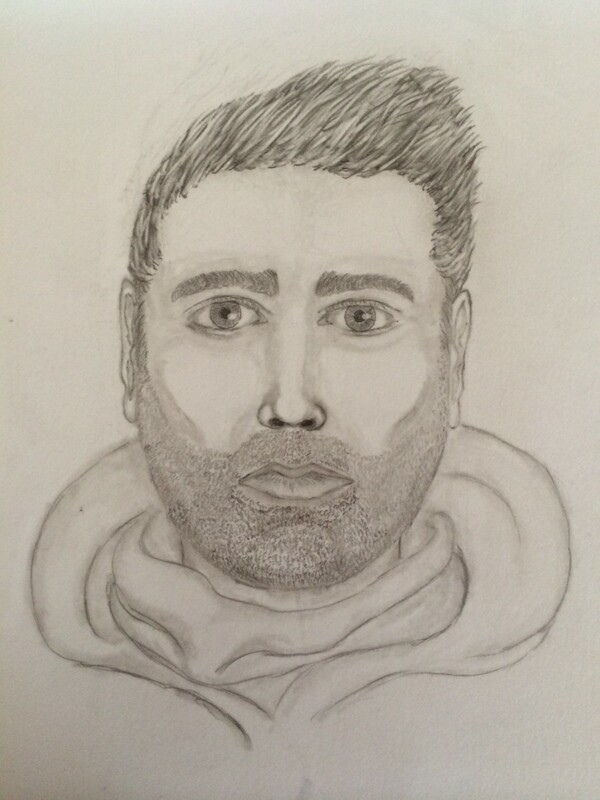 Killeen Police have released a sketch of a person who is a possible witness in regards to the Homicide that occurred at 1404 Pine Drive during the early morning hours on Monday, October 20, 2014. This person was seen in the area during the early morning hours and possibly has information that is pertinent to this case. Detectives investigating this Homicide are asking if anyone can identify this person or knows how to make contact with him. They believe he has information that could assist in solving the case. Detectives are asking this person to contact them at 254-501-8936. If you have information about this Homicide and would like to remain anonymous please contact Crime Stoppers at 254-526-TIPS (8477) or go online anonymously at www.bellcountycrimestoppers.com or text anonymously to BELLCO along with your tip to 274637. Text HELP to 274637 for help or text STOP to 274637 to stop the tip, message and data rates may apply. All information is confidential and no one will ask your name, if your information results in the arrest of the suspect or suspects responsible for this crime you could be eligible for a reward up to $1,000 in cash. The Killeen Police Department is asking anyone who was at IHOP Restaurant during the early morning hours on Sunday, February 23, 2014, to contact the department. Detectives, who are investigating the murder of Kirsten Nicole Farr, would like to speak to all the people who were at the IHOP when this murder occurred. They realize there were several people who may have left before the detectives could speak to them and they just wanted to ask a couple of questions for their investigation. If you were at the IHOP restaurant between 3:00am and 5:00am, please contact Detective Uvalle at 254-501-8854. 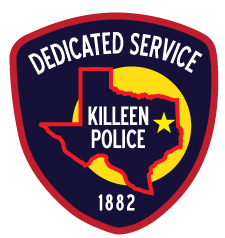 Information you may have could help the Killeen Police Department with their investigation. 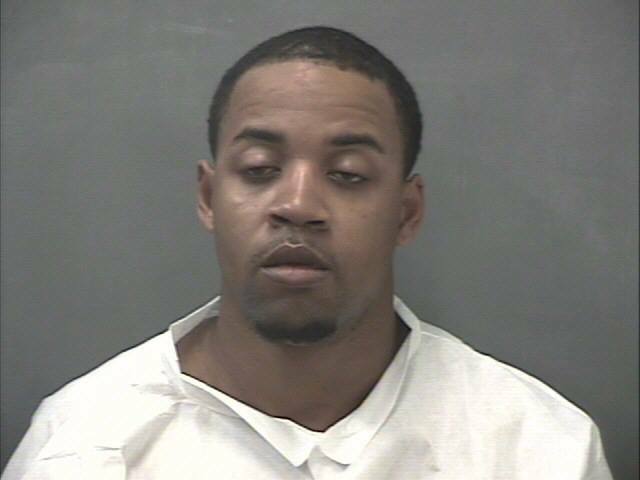 Murder Suspect 31 year old Thomas Jeremy Jones of Killeen, was given a $1,000,000 bond by Justice of the Peace Garland Potvin. Jones was arrested on Sunday, February 23, 2014 for the Murder of Kirsten Nicole Farr while she was in a vehicle in the Killeen IHOP parking lot. Information you may have, could help the Killeen Police Department with their investigation. Officers responded to a 911 call, on Sunday February 23, 2014 at 3:14 am, in reference to a stabbing in the IHOP parking lot located at 700 W CTE. Upon the officers arrival they located a female who was suffering from multiple stab wounds; she was immediately transported to the Carl R Darnall Army Medical Center in critical condition. The 21 year old victim succumbed to her injuries and was pronounced deceased at 3:53 am; Justice of the Peace Garland Potvin ordered an autopsy be performed at the Southwestern Institute of Forensic Sciences in Dallas. According to witnesses, the female was a passenger in a gold Cadillac in the IHOP parking lot, when she was approached by her 31 year old ex-boyfriend. A verbal altercation began and quickly turned physical. The suspect stabbed the victim multiple times and fled the area. Officers searched the area but were unable to locate him. The victim has been identified as 21 year old Killeen resident Kirsten Nicole Farr. This case was reviewed by the Bell County District Attorney’s Office and a complaint was returned charging Thomas Jeremy Jones of Killeen, with Murder; Justice of the Peace Garland Potvin issued a warrant for his arrest. At 11:53am, the suspect was arrested at a residence in Nolanville without incident. He is currently in the Killeen City Jail and awaiting arraignment on Monday, February 24, 2014.